Experience in computers and software, along with a background in Information Technology, created a HUGE desire to dive onto the Internet in 1996. I had a great job in Corporate America working in Procurement and Information Technology. Approximately a year later, the company merged and layoffs began. Fortunate for me, I was chosen for the layoff. I say fortunately only because my dream of becoming an entrepreneur became a reality! Becoming an entrepreneur and making money are two separate things. I didn’t make money right away because I didn’t know how. I did, however, research like a mad Woman, learning everything I could. I even bought product after product, some to my amazement and much to my disappointment. I truly believe that the process of a journey and the mistakes that happen is what makes us better, stronger and wise! Fast forward to today, I now help (consult, train, teach and mentor) entrepreneurs by creating strategic online marketing plans, hence, boosting visibility, credibility, profitability, and buzz on and offline. My research and application have allowed me the opportunities to launch my own radio talk show, Partner at a Content Marketing website, hold a position as the former Radio Program Director, Co-Host & Consultant on CNN and CBS Radio. I have also been fortunate to teach 1000’s of business owners in the area of Internet Marketing, Direct Sales, Network Marketing and Offline Marketing. I LOVE meeting people! I’ve discovered that when meeting new people you never know what you’ll learn in the process. I’m not a computer programmer but I’m definitely a computer geek! I use to be shy, boxed in and dreaded stepping out of my comfort zone. I was featured in the New York Times in 1998 as a Direct Sales Renegade LOL! I despise seafood and I overuse exclamation points! I have a passion for the elderly and would like to one day spend a lot of money spoiling them. I love teaching (newbies) wanna-be internet marketers how to steer away from ‘cliques’ (i.e., scratch my back, I’ll scratch yours if you do what I say groups) and to establish themselves as experts instead. Last but surely not least, I’m a ‘God Chaser’ cause I love Jesus with every fiber of my being. I’m no guru! I don’t do magic tricks, and there are no overnight successes. I love helping Entrepreneurs. I’m results driven with a sincere passion for getting the job done the right way! If you’re looking for more than a traditional business consultant and/or executive virtual assistant, you’ve come to the right place. We’ll make it happen! 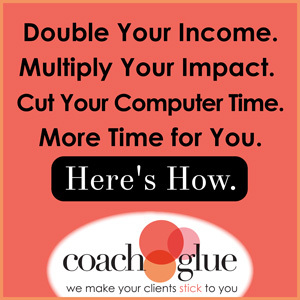 Schedule your FREE 15-minute discovery session here. During my speaking career (18 years) I have worked with several Virtual Assistants and for whatever reasons, things fell through the cracks. A good friend, Crystal Washington, CSP suggested that I give her assistant, Regina, a call and see if she could fit me into her schedule. I called and the rest is history. Regina knows speakers and she knows all the backend work it takes to get a speaker out the door, on the stage, back home, and then completing all the after-speaking items like testimonials, expenses, and follow-up calls. She has been an answer to my prayers. Regina not only has a system in place, she also has all of the forms required for speakers like a letter of agreement, deposits, bios, intros, expenses, etc., and she is a master at espeakers. Phenomenal woman! These are the words that come to mind when I think of Regina Baker. She is an amazing woman that cares deeply about her clients. She gives more of herself than one may expect. She is professional, knows what she is talking about and delivers great results in an unexpected timeframe. Regina knows the business she is in and it is easy to see why both she and her service are award winning. Regina also truly cares deeply about the well-being of her clients and is there to lend a shoulder and a piece of her heart. She is committed to making sure the job gets done but not at the expense of one’s well being. I have never worked with someone so compassionate and focused at the same time. She knows how to take you through the process of what is coming and expected from both you as the client and herself. She gets it done but does it with a sprinkle of love and that makes all the difference. I am ever so grateful to have this woman in my life and on my team. Need more references? Click here.